Industrial designer Katherine Semenko tackles home appliances with her latest creation,coming up with this unique lamp concept. Semenko draws inspiration from â€œsoulâ€ and â€œliving organismsâ€. 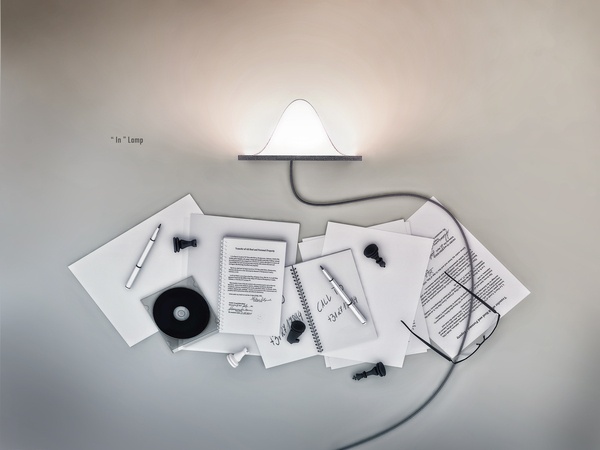 The In lamp is slick and intelligent with an art deco flavour. The front is a dense closed material with, what looks like lizard skin patterning, with the light emanating from the reverse side.